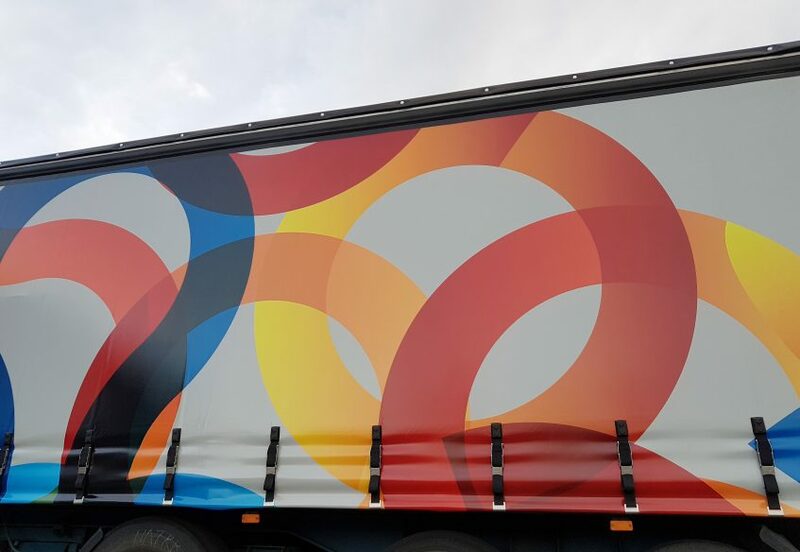 When developing the special production techniques for Solidskin, the focus lay on producing optimum image quality. 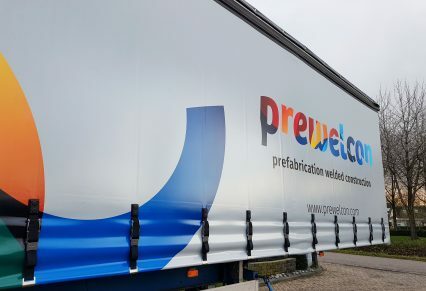 This is why some of the strongest brands across Europe have chosen Solidskin curtainsiders to promote their brand. 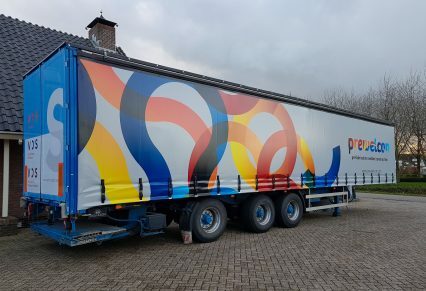 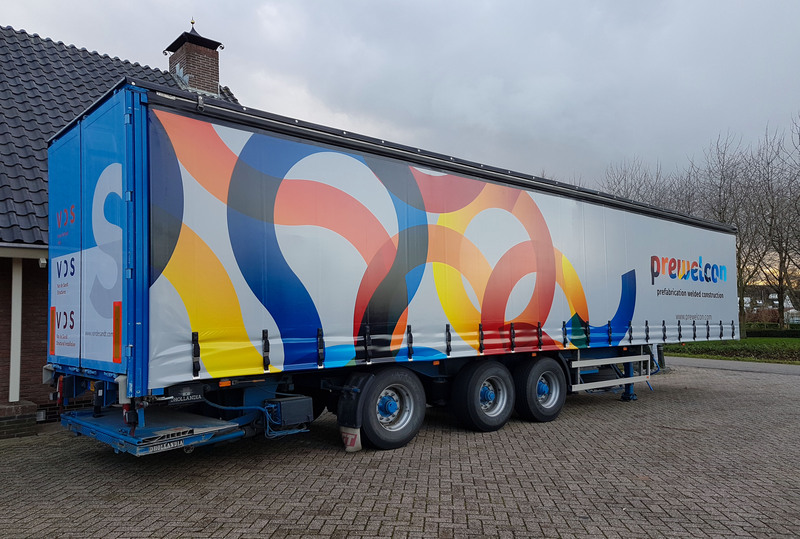 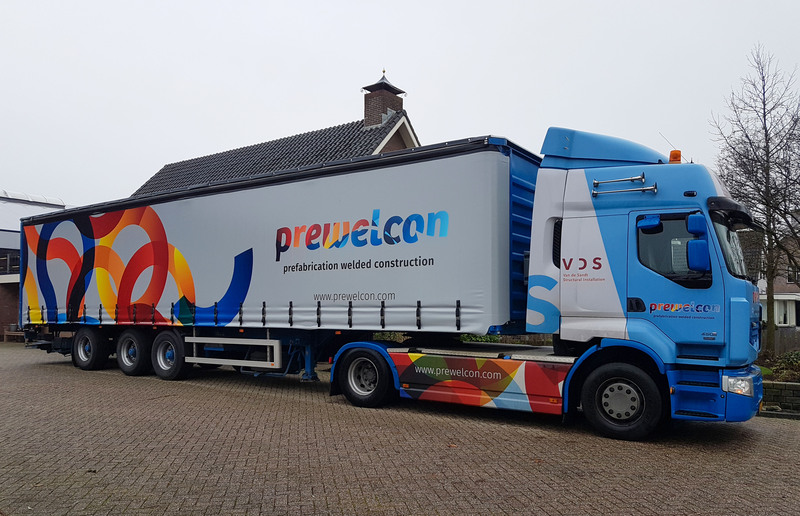 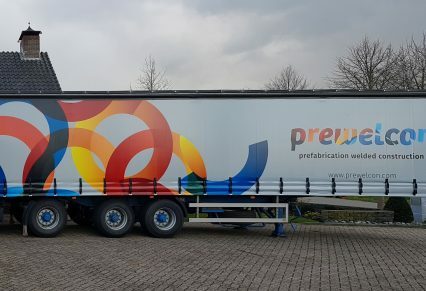 That’s why we are super happy with the production of this curtainsider by Van Horssen Zeilmakerij for Prewelcon and Van de Sandt Construction BV. 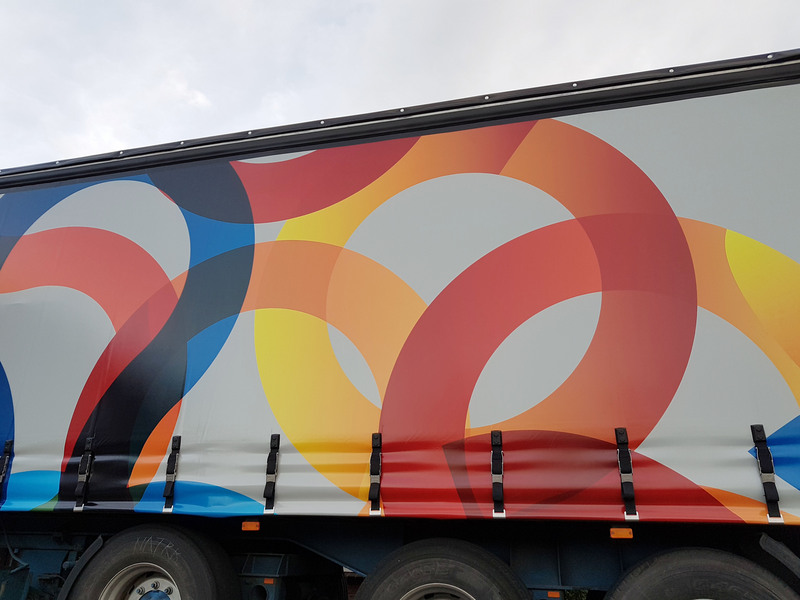 A very bright a colourful design. 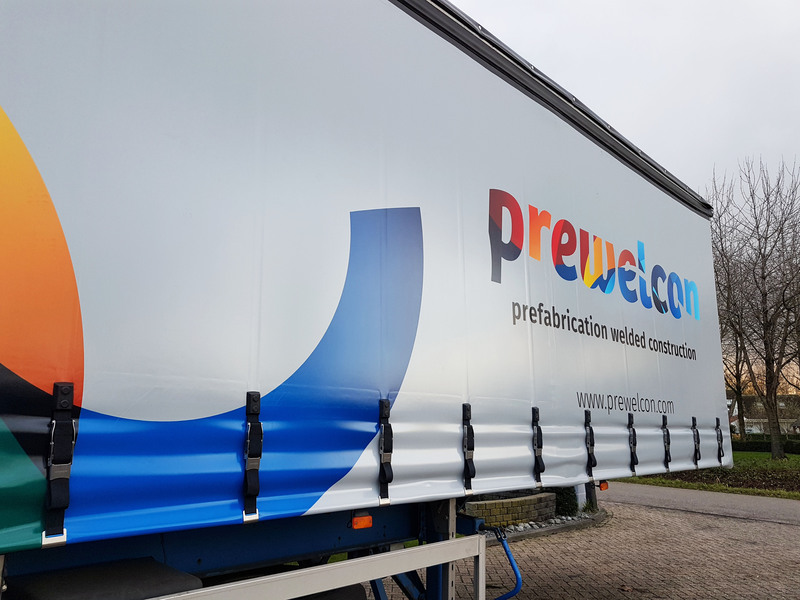 A perfect match for our high-quality appearance, our ability to match any colour and the long-term preservation of appearance when in use.